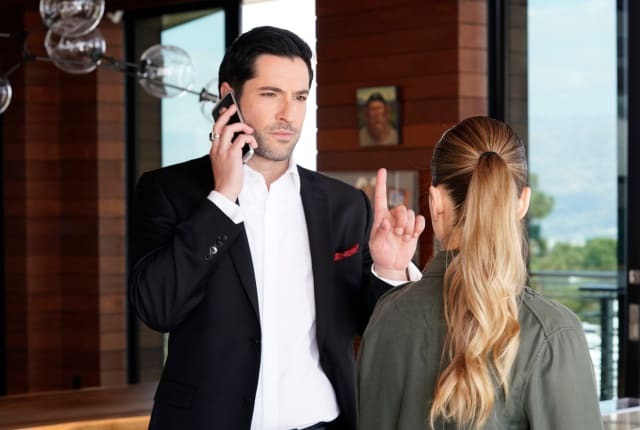 Watch Lucifer Season 3 Episode 23 online via TV Fanatic with over 1 options to watch the Lucifer S3E23 full episode. Affiliates with free and paid streaming include Amazon. On Lucifer Season 3 Episode 23, just as Lucifer makes a huge confession, he gets a tragic phone, while Charlotte decides to take matters into her own hands. Cain: I have a new plan. Well, same plan, new victim. Maze: Who's the sacrificial lamb? Chloe: Is that someone playing piano? Chloe: At a crime scene? Permalink: At a crime scene?